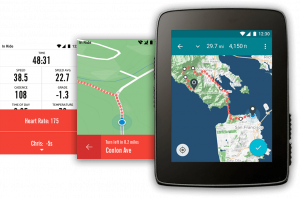 In early June 2017 I decided to jump the gun and pre-order the new, promising and upcoming bike GPS device from Hammerhead. A company that has been around for a while, with a few niche products for cyclists. 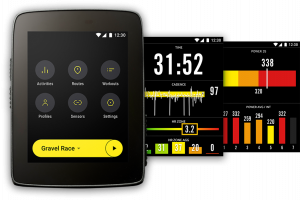 Being a company founded by and run by a bunch of cyclists, they had decided to produce the very best cycle computer we’ve seen, the Hammerhead Karoo. And it sounded very promising. They said they would deliver in August. They offered a 40% discount on pre-orders. I gave them my money. Then what? My old Garmin Edge 500, which I have loved, started to act up on me early 2017. The button covers was teared and the microswitches underneath was difficult to maneuver. It was also missing some features that I wanted. Like turn-by-turn navigation with maps. Something I’d wanted since I tried randonneuring the first time. And the possibility to connect it to my phone to display who’s calling for example, so I can decide if I need to stop to take the call or if it can wait until I’m done cycling. Wireless connectivity for uploading my activities is not a requirement, but a nice to have. Main reason I started to look at alternatives to my 500 is the maps. And that new fun electronics is… fun. Now, why don’t buy a new more recent Garmin you may think. Well. The 510 do not have maps. The 800 I have seen have had various bugs, so have the 810 I have seen. The Edge 1000 have had various reports of annoying bugs too. We also have the 520 and the 820 and now the 1030, but all with various negative reports. Indeed, they have got positive feedback too, but my experience with Garmin support and getting things fixed in their software is not the best. The specs and features of the Karoo looked promising. The team behind it seemed responsive and communicated lots of great ideas for the future. DC Rainmaker was positive to an early beta unit in his hands-on review. Bottom line, I felt it all felt legit and June 7 I decided to spend $299 on a pre-order, knowing there was a slight risk I’d never get anything back. And the Android based device with built-in 3G, wifi, Bluetooth, ANT+, awsome routing functionality and more (as presented on their web) could make a really nice bike computer. August came. But no Karoo. There were delays producing it. It would ship in October. October came. No Karoo. Still production problems. People started to discuss potential vaporware. December came. Still no Karoo. But on social media we started to see delivered devices. Some people around the world had got their GPS and mentioned in on the net. Some with photos. But when the rest of us started to ask questions about it we got strange or no answers. It turned out Hammerhead had silently shipped the first approx 100 produced devices to a group of select betatesters. Together with instructions on talking about the device on social media but also asking them to specifically not answer certain questions. As you can imagine, it did not take long until this was discovered and Hammerhead had to make a u-turn and apologize for their behavior. At this point in time, quite some people had asked for a refund as they did not believe in getting any device ever. Kudos to Hammerhead who seem to have promptly met the demands and paid the money back to those people pretty quick as I understand it. This in turn makes people wonder for how long they can do that. When will they be out of money. We who pre-ordered basically helped funding the creation of the device. What happens if we want our money back? Personally I can see why Hammerhead did what they did. But I don’t think it was the right choice, and I’m happy they were called. Honest communication takes you longer and you’ll have a more loyal customer base going forward. I started to think about asking for a refund too, but as I still believe the Karoo can be something out of the ordinary, and I already consider the money as ”gone” I have decided to wait and see. Now they say the Karoo will be shipped to everybody who pre-ordered before mid-september by end of January. I’m still not convinced that will happen even if they say they are still on track for this to happen. And unfortunately some negative things have surfaced in the discussions between Hammerhead and the customers in the last few weeks. One major (to me) thing is that the device do not have any built-in speaker or summer. It will not be able to produce any sound. At all. Unless you use some kind of headphone/headset connected via Bluetooth. 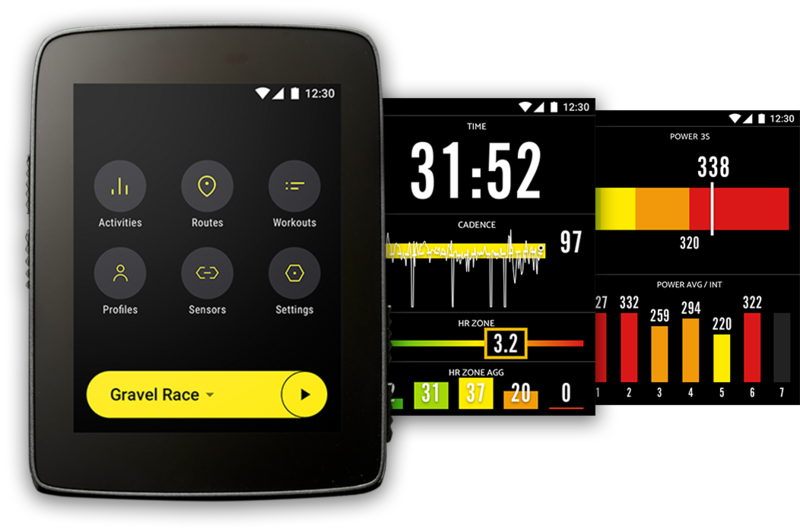 I do not want headphones while cycling, but I do want audible notifications for turn-by-turn navigation and other things like auto-pause, 10k distance, pulse or cadence too high/low and similar things. The Karoo will not be able to do this, not even with a future software update as the hardware needed is not there. That’s a pity, and was not obvious when reading the specs earlier. A beeper is to me something that’s just there in such a device. But apparently Hammerhead have asked all kinds of cyclists what they want and it seems none wanted audible notifications. How can that be? Another thing is the navigation. HH say that if you’re not having the map screen while riding, it will not bring you the map when you approach a turn. Not even for a short while. They do say however, that the turn notification will be clear enough. I wonder if I need to look at the screen at every crossing I approach? But this is something that *can* be fixed in software. And there are other things/functions that’s unclear to the public too. The reluctance to respond to some questions indicate some basic functionality is not there yet. I hope they will listen to their customers for the future rolling updates they have promised. I have a feeling the Karoo might be a very nice companion once here. 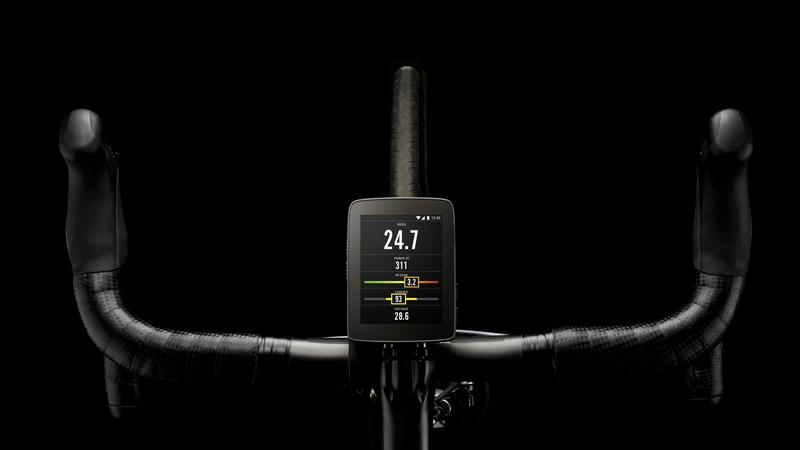 But I also feel that the first software release available to us ”normal” pre-order customers will not be much better than any Garmin or other bike computer you can buy from the shelf today, with a couple of years out there already. It may not even reach up to what they deliver today. I really hope I’m wrong, and I really hope the software updates will bring us the Karoo Hammerhead advertised a year ago. Still – I do understand all the hurdles a company may run in to with production overseas, all the various certifications for a worldwide product, shipping and whatever it may be. Especially with a small company like Hammerhead. I’m impressed, I can only imagine all the hard work they have put into this, and I do wish them all the best going forward. I believe they did learn from their communication mistake back in December. But please remember to be careful with how you answer the (potential) customers on social media, even if their negative attitude and demands might feel annoying to you. I really hope the change in tone in your responses to them is not caused by an underlying panic from seeing the end of the tunnel, without the light. As you can tell, I’m a bit ambivalent over this. Part of me want to skip it and ask for a refund. The other part, the tech-nerd and cyclist want to wait for it and see what it offer, and hope software updates will bring us a really really good device. But I’m still a bit sceptical. Hammerhead, prove me wrong! Will I ever get the Karoo? Time will tell. Today it is January 16th and I haven’t seen any shipping information yet. Meanwhile I have ordered a new back case and a new battery for my Edge 500, just in case. Stay tuned for Part 2. Update January 23rd: I just got an email saying the Karoo will ship shortly, and asked me to confirm the delivery address. There’s still hope! Hi, I am following your post on Hammerhead Karoo and would like to know once you have received this gadget cycling computer. And of course your first experiences. And now there’s a Part 2 up – unboxing. Look at the website from DCRainmaker. There is a report from Hammerhead Karoo. You will be suppriced I think. I comment , well I tried to do that under the name Dik Karoo. Real questions to make the proces more clear. Silence is Golden that is their motto. Yea I’ve seen DCRainmakers Karoo stuff. Now waiting for his video on navigation I saw he was working on on twitter. I’ve also seen your comments on the HH facebook page so you’re not completely blocked. Only ignored 😉 The silence from HH on the navigation questions is still worrying me, as that is one of the main reasons I ordered it. Part 2 – Unboxing is up. Part 3 – First impression on its way too after 3 days of commuting with it. I’m not overwhelmed…. Hi, I got mine delivered last wednesday. Already done 3 rides, with longest ride 2 hours 15 minutes. 2 rides with Ant+ HRsensor connected. No navigation ride yet, although I added routes to the Karoo via the Dashboard and that sync’d fine. Only buggy feature for me so far is the Elevation Grade%. Must improve the calibration algorythm. So far my 2 cents and happy.